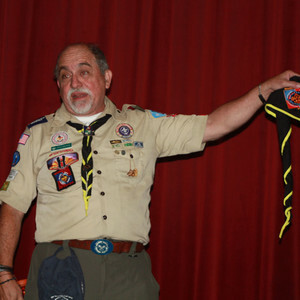 What is the Neckerchief Challenge? The Personal Challenge is based on the Vision, Goals, and Plans segment from the NYLT Syllabus. During the NYLT course week, each individual is encouraged to create a complete Vision along with SMART goals and plans to complete after their course week is finished. By the end of the camp week, most youth decide to complete this Vision, and have it approved by Senior Staff as a relevant, effective challenge that is possible to complete within a reasonable time frame. Within one year, about 25% of youth with an approved Vision will complete their advanced leadership personal challenge. This personal challenge segment has become a crucial piece of the NFC NYLT course, supporting the course syllabus in creating an opportunity for new leaders to BE-KNOW-DO in their own community, and is a component that has been used successfully for many years. NYLT material is centered on EDGE; educate, demonstrate, guide, enable. In the big picture, the NYLT course week provides for E-D-G and the participants Personal Challenge will allow the youth to finish the Enable portion of their quest for the meaning of leadership. May be volunteer related outside of scouting where appropriate. The completion should be verified by an adult most likely the Scoutmaster or Venture Advisor. Vision and Goals cannot include Position or Rank accomplishment. The participant’s Scoutmaster or Advisor (preferably) or the participant will contact the NYLT staff via email to announce their completion. A Team of NYLT Youth Staff will attend a Court of Honor (preferably) or another troop or crew meeting to present the course advanced leadership personal challenge neckerchief. As per our custom, the presentation is performed by NYLT Youth Staff unless no Youth Staff are available due to conflicts or travel issues. The Youth Staff can demonstrate their enhanced speaking skills, and provide a short non formal talk about the course, briefly explain Vision, Goals and Plans and then about what the participant has accomplished in order to receive the coveted NYLT advanced leadership personal challenge neckerchief. They ceremonially place the NYLT neckerchief on the youth as a final act of acknowledging their Vision completion. NYLT experienced adults will also attend the presentation to speak with the attending parents and other troop adults regarding the NYLT program and the benefit which trained youth provide for parents, the troop, and the world as confident and capable leaders. Completion time: If the completion time is less than 2 months then the task is most likely not challenging enough for the participant. If the completion time is greater than 9 months then the participant is in danger of not completing before the 12 month deadline of the beginning of the next course. All goals should be S.M.A.R.T. Rank advancement is not considered a good goal or vision since it is in the best interest of the participant and most likely does not involve other youth to their benefit. Electable positions like PL or SPL are not considered as good goals since they may not be Achievable and therefore not SMART. All visions and goals should make example use of the materials used in the NYLT course. These include Visions you can see, SMART Goals, EDGE, FNSP, EAR and other course concepts. Participant Recognition - The recognition ceremony creates closure for the highly motivated and engaged youth willing to undertake an additional personal goal and responsibility to his/her community. 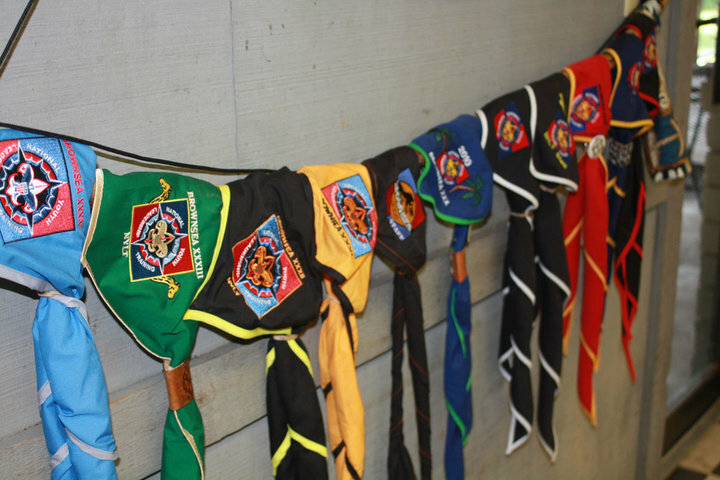 Expedient Scouting recognition is a hallmark of the BSA model, and serves to encourage youth to continue reaching for the next level of personal challenge. Marketing to other potential participants - Completion of the Vision and appropriate acknowledgement at the Troop level creates a tangible and visual opportunity for other Scouts to observe how they can also strive for advancement within the program and in other arenas of their life. Many times, youth are not aware of the impact of NYLT training, even if other troop members have attended. This gives them a small window to experience the support and comradery of the NYLT staff with their summer participants. Marketing to adult troop leaders and parents - The recognition program positively reinforces the BSA training programs to parents who otherwise may never be aware of opportunities outside immediate troop offerings. It helps convince them of the need for advanced leader training for both youth and adults. 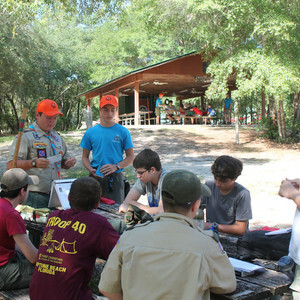 The promotion of leadership training not only supports the continued success of NYLT for youth, but also other BSA training programs like Woodbadge for adult leadership. This creates synergy between all advanced BSA training opportunities, and serves to improve the program from many distinct angles. The Mission: Boy Scouts of America is to prepare young people to make ethical and moral choices over their lifetimes by instilling in them the values of the Scout Oath and Law. The Vision: The Boy Scouts of America will prepare every eligible youth in America to become a responsible, participating citizen and leader who is guided by the Scout Oath and Law.